It has been a nutty time here. We lost power when the transformer blew up/self destructed beside the house. 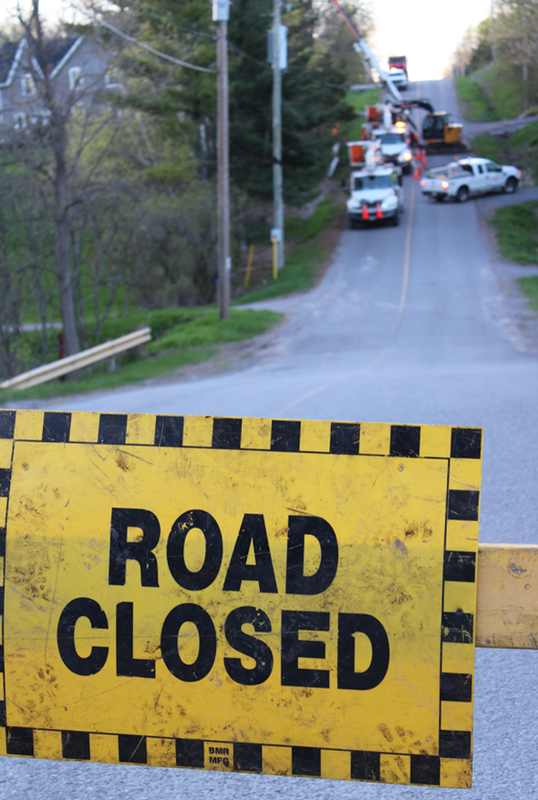 There were flashing lights well into the dark until power was finally restored... but wifi was not. Phone lines were cut during the repair (and I'm not a real grown up and don't own a cell phone)... so STILL NO WIFI! It was touch and go, but I survived. The timing of the outage could have been much worse as my art buddy Paula Mould made a roadtrip to see me! 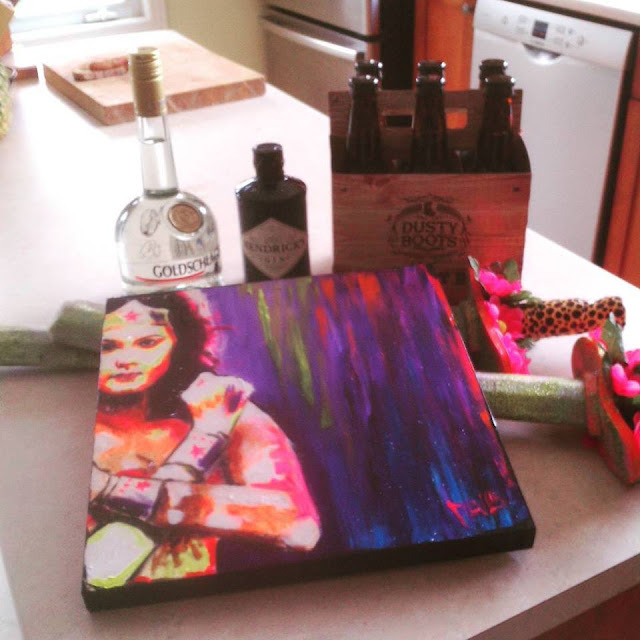 There was much (much) booze and glitter swords! And that outstanding Wonder Woman painting. 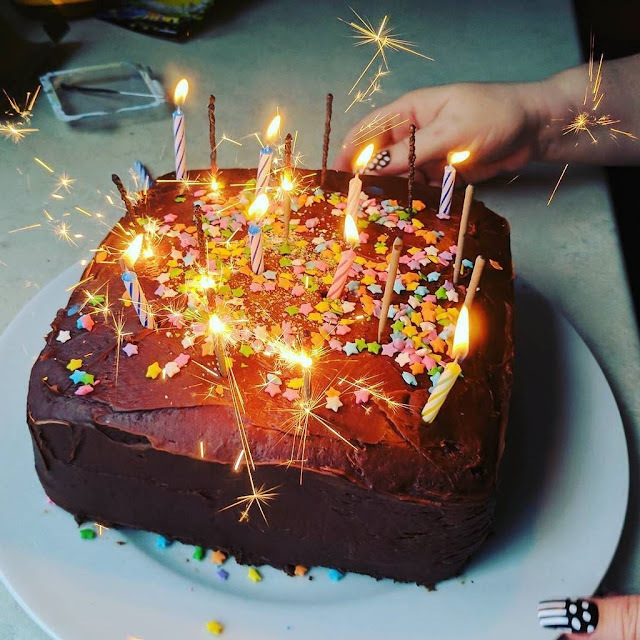 And birthday cake with sparklers. Then it was down to arty business. Paula and I work very differently, and have different styles but we seem to accomplish sooooo much when together. 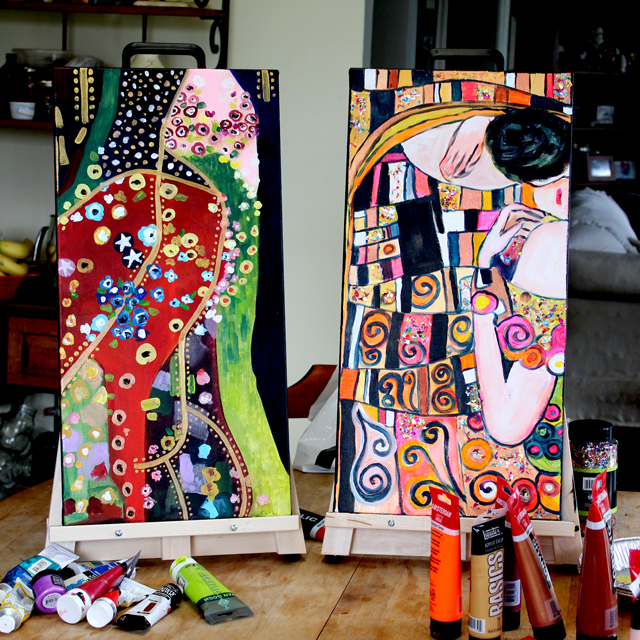 We set paint to canvas to explore the work of Klimt and created the above paintings in the morning. In the afternoon we divided a Gypsy Soul Art Journal, each taking half the pages. When done, we randomly stacked the pages together, alternating hers and mine and created something really cool! This isn't a design team post but I gotta say, that journal was a lot of fun. It survived our manhandling. We abused those pages and it proved sturdy little son of a gun. The number of pages was perfect for us (as we aren't really journalers) and the variety was good too. If you've got a day or two with an art buddy, I highly recommend it. Now to spend a few days recovering... because I'm old and cannot booze like I once did. But look at the fun we had! SO MUCH FUN! SO MUCH ARTING! P.S. 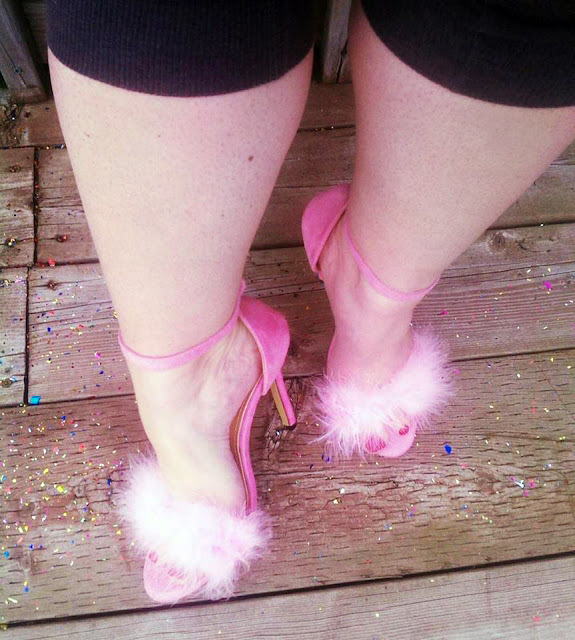 I these fluffy way too high heels arrived in the mail. They have nothing at all to do with this post BUT LOOK AT THEM!!!! My new life goal is to become a Ms. Piggy/Peggy Bundy hybrid. Yay! What beautiful paintings and achievements! 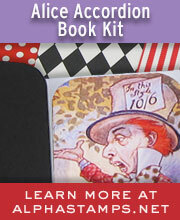 I love the Klimt inspiration paintings, and the art journal is awesome! I wish I had a buddy to create with. OMG! I am so jelly of time doing art, journaling and time spent with a good friend. Your idea of art journaling is genius and creative. Will have to try that myself. So glad you had a great time. BTW, like the shoes. Although I am saying it, it goes without saying, your art work is fabulous. HOWEVER, those shoes! I promise you, in my younger days I would have strapped those lovelies on and found a man and made him weep. Those are some nice shoes, my dear. Lovely art journals!!! Love the pages. I, like you, can't booze like the old days, but really I don't want to anymore. I few tasty wobbly pops are good enough for me ;) I am so glad you had such fun. Love the glitter swords and yes, even the "fluffy" high heels. What a fun duo! And the shoes! 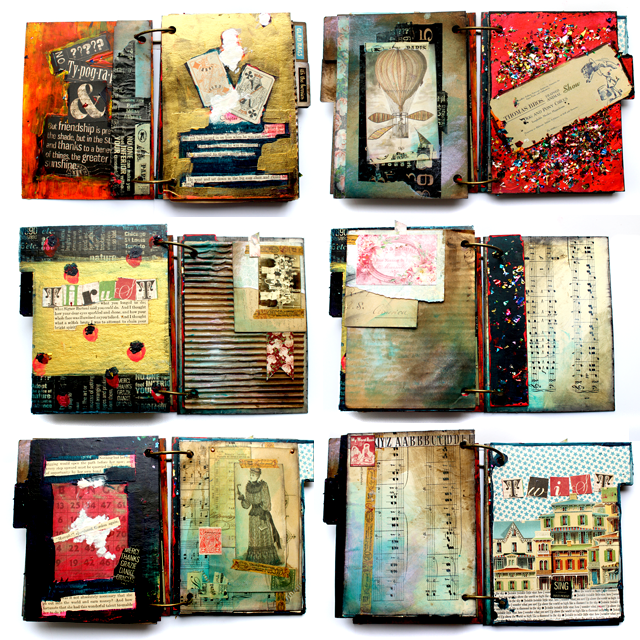 The art...the journal pages...Love, love it all! i love the journal! The paintings are phenomenal! There is a kids show my daughter and I watch called "Mia and Me", much of the styling is klimtish (its a word now.. or you can have Klimty.. you choose :) check it out.. its gorgeous!